Paragon Exteriors LLC New Website Design. 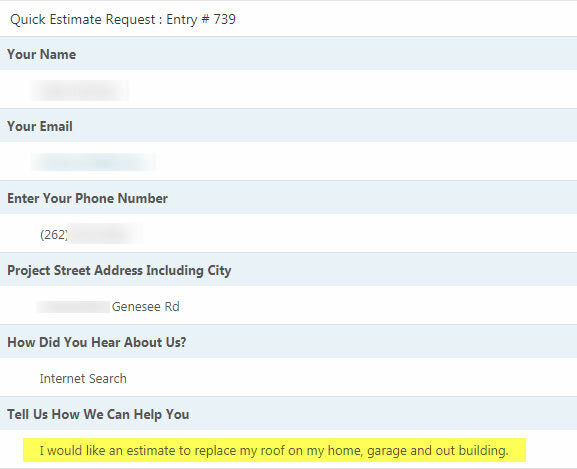 Paragon Exteriors LLC owner Jake Gast contacted us several years ago through one of the contractor forums we frequently offer Internet Marketing advice on. Jake’s site was in a bad way, he had an out-dated design and worst of all was paying a small fortune to an SEO firm that wasn’t helping his website, they were actually hurting him. When Jake contacted us his website was actually the recipient of a Google Penalty called a “Manual Action” for the unnatural and spammy links his SEO firm was creating and pointing back to his website. Google noticed the thousands of unnatural links pointing to his website from a variety of untrustworthy sources and they placed a manual action on his website. This literally tanked his rankings overnight and his website was nowhere to be found. This was a particularly challenging case for us, as we’d never dealt with a penalty on a website that was so severe. 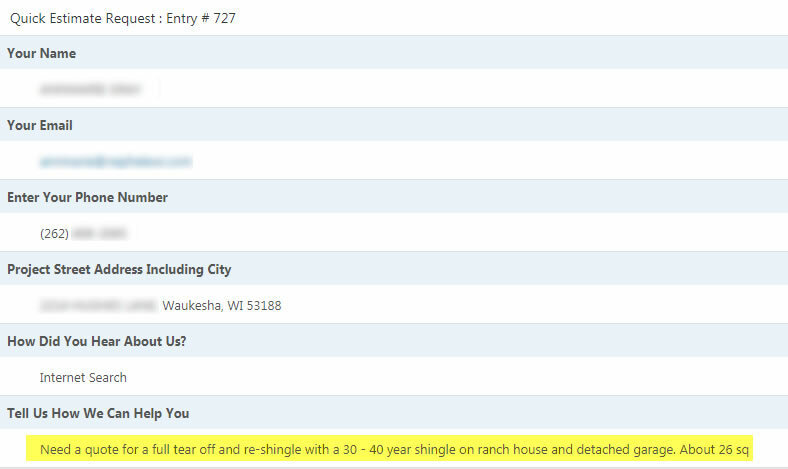 His website was literally nowhere to be found in his local area of Waukesha, Wisconsin for any of his most profitable keywords. 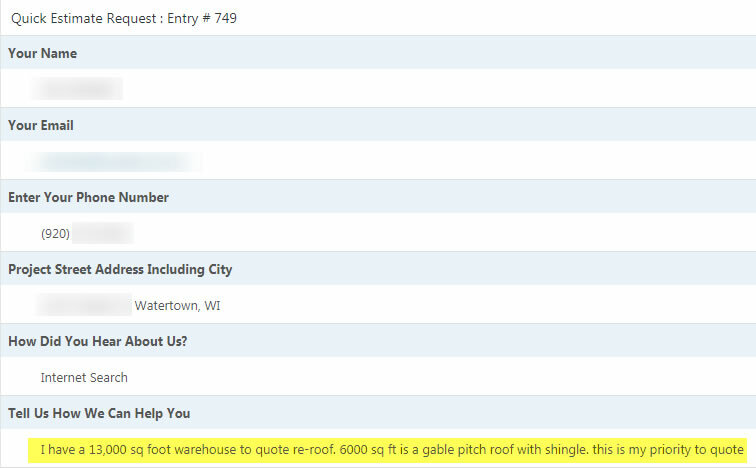 This was bad news for a roofing company that had traditionally relied on the web for a good portion of their lead flow. How Did We Help Jake and Paragon Exteriors LLC? The first thing we had to do for Jake was collect and analyze all of the links coming to his website from outside sources. To do this we use special tools that crawl the web and reveal all of the links pointing to our clients website. We had to look at ALL of the websites that were linking to him and then we had to categorize them based on their relevance or lack thereof. This is called a “link audit” and we found dozens and dozens of websites (176 websites to be exact) that were bad news and linking to the Paragon Exteriors LLC homepage. These unnatural and spammy links were exactly what had caused his websites penalty and subsequent drop in rankings! Once we’d collected all of these bad links we created what is called a “Disavow File”. This is a very particular type of text file that you can submit to Google that tells the search engine to essentially ignore the links coming from the websites or domains in the disavow file. After the disavow file was submitted we then had to write a “Reconsideration Request” letter to Google. The reconsideration request explained that our client had hired a bad SEO firm who was doing spammy (black hat) techniques to rank his website and outlined the steps we’d taken to fix the problem and ensure it wasn’t going to happen again. As we waited for a response from Google we quickly got to work on Jakes new website. We built him a proper website with rock-solid “on page” SEO and we created new pages for each and everyone of his most important services. We then created new pages targeting the very specific cities and towns that he’d wanted to work in most. We then got to work developing some trustworthy and authoritive links to the website from trusted and relevant sources. This improved the authority of the Paragon Exteriors LLC website substantially and helped us set the stage for a comeback. A few weeks after his new site launch we got an email from Google…. They had agreed to lift his manual action penalty! We were elated that our intense efforts had paid off and Jake was relieved too. A few more weeks went by and his website had started to recover from it’s dramatic drop in rankings and with a new site design centered around converting his visitors into leads Jake was back in business! 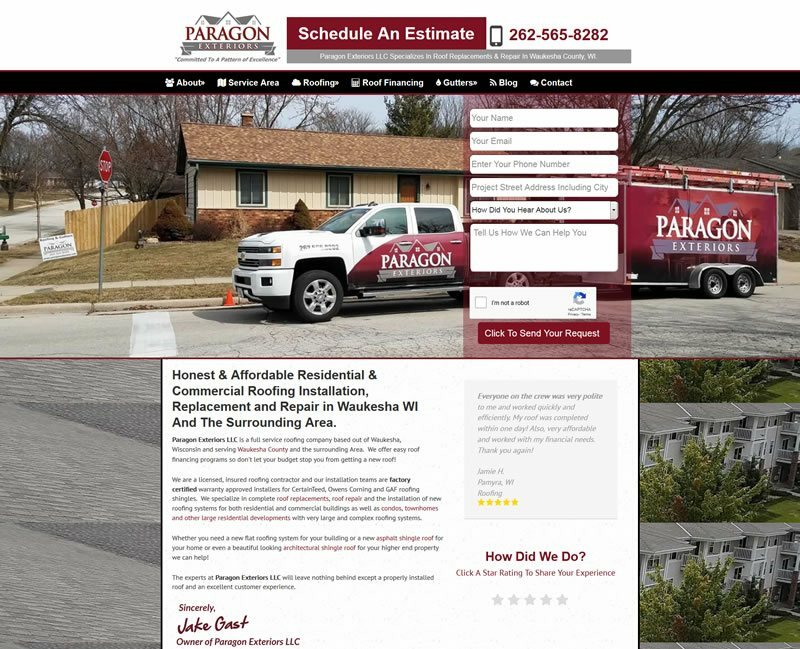 In the few years since we’ve helped Paragon Exteriors recover from their Google penalty and redid their website traffic has increased substantially and the website has generated over 500 leads for the business. Not every lead equates to a sale but with lots of estimate requests coming through the Paragon team is able to spend their time on the prospects and projects that are going to be most profitable. Want To Hire Us To Improve Your Roofing Website?